Oh, the hoodie… convenient, warm, and too easy to not pass up. 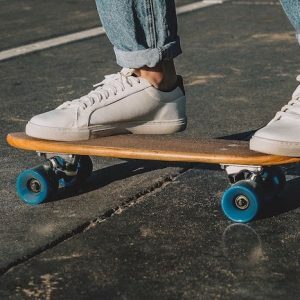 Those are the pros, but what about the cons? Unless you’re hitting the hiking trails or destined for the gym, it’s such a bland and tired choice. I don’t have anything against hoodies, but I see every other guy wearing them and rather have you stand out of the crowd. Is it a shirt? Is it a jacket? It’s both, a shacket! Shirt jackets are pretty cool. They work really well for transitional seasons like Spring and Fall by providing the perfect thin layer. Pair them with a t-shirt, jeans and some fresh white sneakers and… wow, look at you. Start with a neutral color like navy blue, green or black for easy pairing. Denim jackets are awesome! Best of all, there are not enough guys wearing them, which works in your benefit. Denim jackets are the perfect mid-layer and make a subtle style statement. Start with a black or grey jacket, that way you can easily pair it with your blue jeans and not worry about the whole Canadian Tuxedo thing. 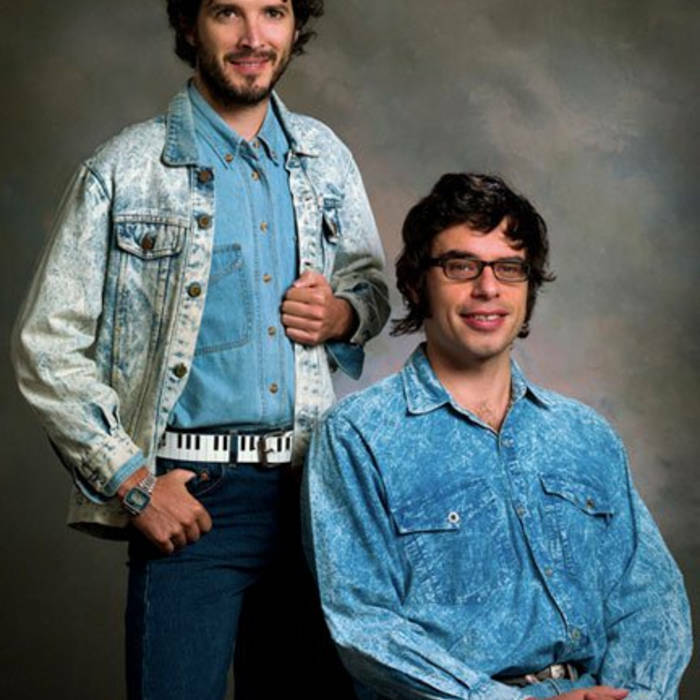 Denim jackets can also be referred to as Jean Jackets or Trucker Jackets. Before I scare you with the word “blazer”, the keyword here is “unstructured”. 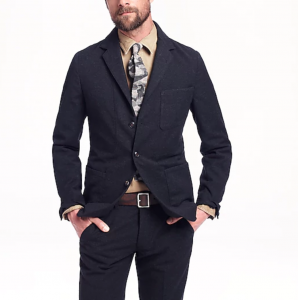 Unstructured blazers have the look of a blazer, but are not formal at all. 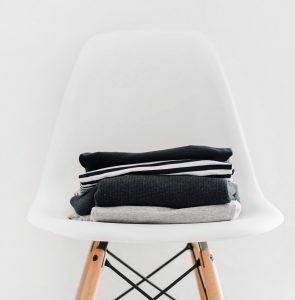 They have the classic details like lapels, buttons, and pockets, but come in a range of styles from very casual, usually made of a thin cotton material, or something a tad dressier, usually made of a soft and stretchy sweater-like material. This is a great option for the guy who likes his looks on the dressy side. Bomber jackets make an excellent layer. They come in a variety of fabrics: suede being on the dressy side of things, while nylon-blend (feel like a hoodie) being on the casual side. 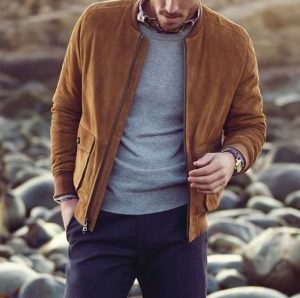 Bomber jackets are defined by their flat neck and elastic band at the hip. The elastic band does round out the upper body, so if your body shape is already round at the top, look for a bomber jacket without the elastic band. 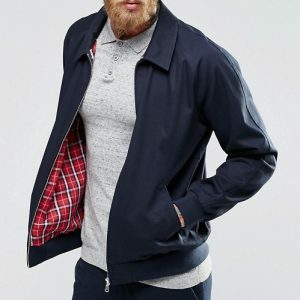 Back in the day the chore jacket was popular amongst farmers and blue collar workers, but now they have become commonplace in the modern man’s wardrobe. A chore jacket embodies elements of a shirt jacket, but with more pockets. Chore jackets come in a range of materials from heavy, like wax, to something more thin and simple, like cotton. 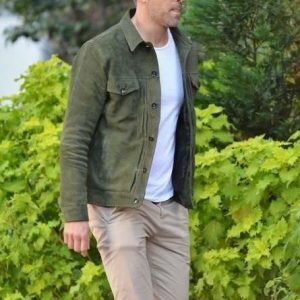 Harrington jackets look very similar to bomber jackets, but the collar is folded and they don’t always come with the elastic band at the waist. Harrington jackets work really well with everything from casual to dressy clothing, making them super versatile. For example, you can wear it with a t-shirt and jeans or throw it over a dress shirt and slacks for work. To figure out what the best option for you is, look at your personal style. Are you a casual person? Go for the shirt or bomber jacket. 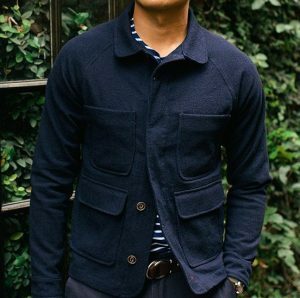 If you like to keep things on the dressier side, a Harrington or unstructured blazer works really well. If you want a unique and modern look, go for a denim or chore jacket. Now that you know what these jackets are called, go ahead and use the key terms to browse around. Most, if not all, of these jackets come in a variety of materials, like nylon-blend for indoors (i.e. feels like a hoodie) or polyester-blend for outdoor (i.e. feels like a rain jacket). 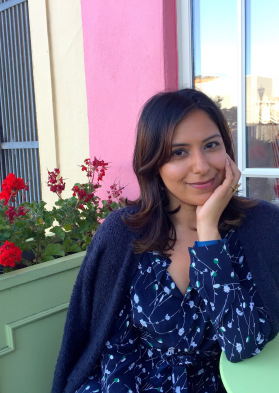 Supreet is a Fashion Stylist from San Francisco, CA. She helps both men and women establish a sense of style and dress with confidence. If you want to work 1:1 with Supreet, visit StyleBySupreet.com. 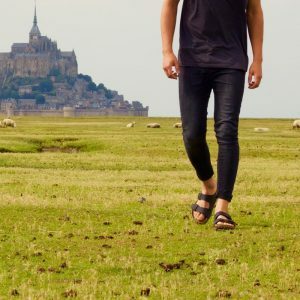 If you're a guy looking to learn more about style, check out PocketStylist.io, a site dedicated to teaching men how to dress well. Supreet is a Fashion Stylist from San Francisco, CA. She helps men and women look and feel their best.